Between 1724 and 1889, Pimlico was part of what was known as ‘St George Hanover Square’, a civil parish in the centre of London. 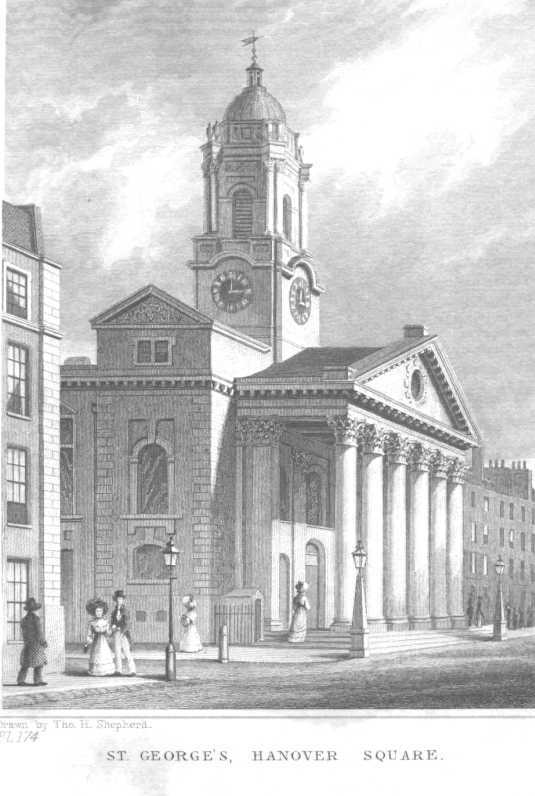 The creation of the parish was accompanied by the construction of the Anglican Church of St George’s on Hanover Square. The church was built upon the initiative of the ‘Commission for Building Fifty New Churches’, which was tasked to meet the demands of the growing population. ‘The Commission for Building Fifty New Churches’ also chose the boundaries of the new parishes, selected suitable persons as parish officers and vestrymen and created the ‘select vestry’ comprised of 100 men. As the parish was set within the liberty of Westminster and the county of Middlesex, its vestry therefore had overlapping jurisdiction with the Westminster Court of Burgesses as well as the Westminster and Middlesex sessions. 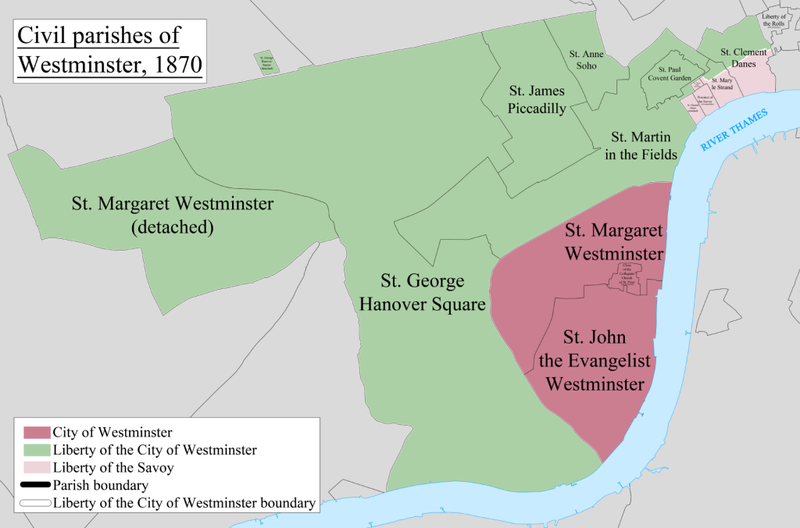 The parish was formed in 1724 from part of the ancient parish of St Martin in the Fields in the liberty of Westminster. It included some of the most exclusive areas of the West End of London, such as Belgravia and Mayfair. The civil parish administration, known as the ‘select vestry’, was dominated by members of the British nobility, until the adoption of the Vestries Act in 1831. The vestry was reformed again in 1855 through the Metropolis Management Act and in 1889 the parish became part of the County of London, with Westminster City Council replacing the vestry in 1900. The parish continued to have nominal existence until 1922, when it was abolished as a civil parish. As created, it was a parish for both church and civil purposes, but the boundaries of the ecclesiastical parish were adjusted in 1830, 1835 and 1865 when other parishes were carved out of it. The ecclesiastical parish still exists today and forms part of the Deanery of Westminster St Margaret in the Diocese of London. The northern boundary of the parish was Bayswater Road and Oxford Street, and the river Westbourne drew its western boundaries. The southern boundary was the River Thames. The parish included the part of Hyde Park northeast of the Serpentine and the Mayfair area. To the south it narrowed, including Belgravia, Knightsbridge, Victoria Station and Pimlico. Hanover Square was located near the north eastern boundary and included the grounds of Buckingham Palace, although the Palace itself was located within the parish of St Martin in the Fields.